Vitamin E T50 is an excellent antioxidant for product containing oils. All natural Vitamin E 50/50 blend with edible vegetable oils. Vitamin E is a great additive to enhance lotions, lip balms, sugar scrubs, beard oil and more! Slight characteristic odor. To add antioxidant properties to products. Vitamin E Natural T-50 is a heat stable antioxidant. All Natural. Plant based. Shelf Life Once Used in Manufacturing: One year from manufacturing date. Slight characteristic odor. Will not prevent bacterial growth but will help prevent oils from turning brown and going rancid.Slight characteristic odor. DIRECTIONS: Slowly stir desired amount of liquid into formula and mix well. Common use levels for 1 pound of base are: 1 teaspoon to 1 Tablespoon. TIPS: This product is an all natural antioxidant that prevents oils from turning brown and going rancid. It is not a preservative. Test your final product to insure optimal performance. COMMENTS: I use this vitamin E to extend the life of oils in my anhydrous concoctions. The recommended rate is between 0.3 and 0.9 (any more than that and we risk accelerating rancidity). I love that this natural vitamin E.
COMMENTS: Love this additive and will definitely need to buy more. Just wish it wasn’t so expensive! "Essentail In All My Products"
COMMENTS: Vitamin E Oil is a MUST in all my products. I will it wasn't so expensive. COMMENTS: I use this in sugar scrub, it works great, but is a little pricey. COMMENTS: A very nice product. COMMENTS: I trust using this pure vitamin E to add to my products, it's not the synthetic tocopherol acetate you find at your local store. I only want to use the best when adding ingredients to my handmade products. People love to see vitamin E listed in products because everyone knows the benefits of vitamin E.
COMMENTS: Great addition to lotions and butters. COMMENTS: I always get a new batch before it runs out because it's a must have. I use it in my body oils, face products and more. "I use it in everything "
COMMENTS: Great quality of Vitamin E. It’s so expensive! Thank you for the price break. I use it in so many of my products. COMMENTS: I love adding this to my whipped soaps and it gives that amazing extra quality to my products. "I use this in everything!" COMMENTS: Love this product. Use with my oils. An excellent addition to bath and body products. COMMENTS: I love this added in my deodorants and lotions. "The best price I've found"
COMMENTS: And an excellent quality. I use a lot of vitamin e and I always purchase it from WSP because the price is much better than other retailers I've found. COMMENTS: Used in my Men’s Beard & Skin Oil. They love it! COMMENTS: This stuff is super thick and a little goes a long way. Adds a little extra something to my lotion and my customers love the added benefits. COMMENTS: Like the Vit E and its benefits. The smell could be better but doesn't cause any impact on the finished product. Will keep buying! "a must for your skin care products." COMMENTS: a must for my massage oil, sugar scrubs and body butter recipes. COMMENTS: Love the extra benefits it adds to our oil blends. COMMENTS: VITAMIN E GOES IN EVERYTHING I MAKE, SOAPS, LOTIONS, BUTTERS, SALVES, MESSAGE OILS, THIS IS THE BEST FROM WSP, LOVE THE PRICE WHICH ALLOWS ME TO USE IT IN EVERYTHING, AND THE QUAILTY MAKES ME WANT TO USE IT IN EVERYTHING. "Used in melt and pour soap "
COMMENTS: I used in goats milk with honey . COMMENTS: I use this in all my face and lotion products. COMMENTS: Love the natural t50 much better than Vitamin E acetate. Yes the color is darker but worth the skin benefits. COMMENTS: This product works great, I only wished it was little cheaper in price. COMMENTS: I love adding Vit E oil to whipped butters, lip balms, & lotion bars, especially during the cold winter months. Helps with dry winter skin. "I use this in every single thing that I make"
COMMENTS: I use Vit E in every product. I use it to help extend the oils the best that it can but more for the benefits that it offers to your skin. Sometimes I am a little heavy handed with use and it can make things a little sticky. it's very thick and vicious which is good for me. COMMENTS: Made the Tea Tree Oil Soap with this product. The whole family loves it! Works well to clarify and not dry out your skin. "One of my favorite product"
COMMENTS: I absolutely love this vitamin E. I use it in a few different products. In general, i find it to be a great healing for the skin. COMMENTS: This oil is great for adding to beard oil recipes. It leaves the hair feeling soft. COMMENTS: I appreciate the healing powers of the vitamin e and this is a nice workable size and it easy to use. Customers love to see there is vitamin e and products because of it reputation for healing and being so good for the skin. Thanks for making it available to us. COMMENTS: Rich in color, so you know it's good! Gives the perfect balance of Vitamin E in everything I use it in! COMMENTS: I find more and more things i like to add Vitamin E to. This is a true concentrate. COMMENTS: really concentrated vitamin E ...obviously better then the vitamin E I've bought in grocery stores...not a must ingredient for all my lip products! COMMENTS: Used this Vitamin E with the Callus Cream kit and I loved it! Will be buying this Vitamin E and all of the ingredients to continue making it! COMMENTS: Love the way it makes my lotion bars feel. COMMENTS: I love to use this Vitamin E! It actually works with you and is not thick. COMMENTS: This is the only Vit E oil I will use as it is pure and very thick. It goes in my scrubs and lotions and I frequently find myself wiping the container clean with my finger and rubbing the excess around my eyes. I've purchased others and they're just not the same quality, so they weren't used. COMMENTS: This oil is included in all my lotions and lip balms, both for the moisturizing benefits and reduces rancidity of the oils included in my products. COMMENTS: this comes tightly sealed in a plastic jar & pours easily for effective measuring/weighing - another great product from WSP!!! • Easy to work with! COMMENTS: What a fantastic product, it has added so much to what I needed for my product. Best type of used yet. COMMENTS: This product smells like ice tea but it is FABULOUS!! COMMENTS: it helps keep skin moist and it does not leave your skin feeling to oily afterwards. I will be ordering more. COMMENTS: This is a must in all of my scrubs. Great protection. COMMENTS: I use this in many products. COMMENTS: great price for amount of oil ! COMMENTS: I use this in almost every product I make. I love it! It's a bit expensive, but totally worth it. COMMENTS: I use this in my lip balms and soaps. So great for your skin!! COMMENTS: I use this oil in my scrubs and body butters regularly. It is great and priced well too. COMMENTS: adds a great component to recipes which contain added oils to keep product quality. COMMENTS: I use this in many products, love that it's adding extra nourishing feature to lotions, balms, etc. Odor free. Will be trying in more products soon. COMMENTS: I love this vitamin E! it's easy to incorporate into formulas. I also like that it's not the synthetic tocopherol acetate. I've started needing to order this in larger quantities! "Vitamin E Natural T-50 "
COMMENTS: I use vitamin E in my homemade lip balm and other products. Adds a extra layer of protection for the skin. COMMENTS: I love this vitamin E! I use this in my body scrubs, lotion bars, and MP soaps. The only place I will buy my vitamin E.
COMMENTS: I have had clients needing soaps to aid in healing wounds and adding a little of this is very helpful. Soap with Frankincense and Myrrh with this added is ideal! COMMENTS: Great product that is easy to use and really enchances the product. COMMENTS: I use the Vitamin E oil in all my lotion bar recipes and think the price is very reasonable. COMMENTS: Good quality! Will buy again. COMMENTS: Great for hair, skin, and nails. COMMENTS: Ran out of vitamin E while making body spray. Thought I could run to the store and find some. What's at the store is not a 50/50 blend like what WSP carries. Most of the ones I found, were vitamin E blended with 3-4 different oils. I use the WSP vitamin E to slow down the oxidation of the oils in my products, so I want it as pure as I can get it and the ones from the local stores don't provide that. COMMENTS: this vitamin e oil is of good quality and a nice price. COMMENTS: Easy to use and can be used any many products!!! COMMENTS: Easy to use which is great because I use it in so many products from soap and massage oil to Anti Itch Dog Spritz! COMMENTS: Vit E works great!!! COMMENTS: I use this in everything! I even put it in a roller ball so I could use on lips, scrapes and dry spots! "I love this for my creams and lip balms!" COMMENTS: Vitamin E is so important for our creams and lip balms. This has always been a reliable product that I plan to continue using. "Cannot make a product without this!" COMMENTS: Will only buy from WSP!!!! COMMENTS: I love how wsp offers these more expensive oils in smaller more affordable sizes. COMMENTS: Great product for you crafts, will order again to keep the life of the product longer. COMMENTS: I used the vitamin E in my lip balms. It is a great addition. COMMENTS: I use this product in many of my formulations and it feels wonderful on the skin. COMMENTS: I use this in my hand cream and lotion bars for the vitamin E benefits. Good price and quality. COMMENTS: I love this and need a bigger size! I use it sparingly, but I know it makes my products higher quality. COMMENTS: Pure and uncut by mineral oil as over the counter Vit E is. Great value and perfect for my body butter. COMMENTS: Nothing added like a lot of the other vitamin e products! COMMENTS: I use it for everything, it has so many uses. Nice, thick oil. Worth it. COMMENTS: This is a nice vitamin E oil and at a fair price. This is my first time ordering this oil from WSP and I'm used to a slightly more viscous oil. If your recipe calls for a low percentage of vitamin E, this should be fine. COMMENTS: I love the benefits of Vitamin E, it is a bit expensive but then again industry wide it is expensive right now. COMMENTS: Perfect, just what I expected. As always, WSP items come packaged nicely. "Must have in lotion products!!" COMMENTS: This is the only "preservative" I use in my products so far! I have never had an issue with anything going bad and love the added benefits from having vitamin E in my products! COMMENTS: This is perfect for butters, conditioners, and lotion bars because it's not very thick and spreads and blends very easily. COMMENTS: I like to use Vitamin E, especially in my shaving soap bars. I like to share with my customers that I use quality products in my line of soaps and lotions. COMMENTS: I love this vitamin e for all of my body butter and lotions and add a wonderful healing element to my lip balms making customers always coming back for more. COMMENTS: This is a great product to prevent your oils from going rancid in your formulations. Extend the life of your Body Butters, lotion, lip balms and emulsified scrubs.. Only need 1% in most cases and get the peace of mind in knowing your products will last longer, enhancing your business reputation. I would recommend this product to anyone who makes their own products, even for personal use. I especially love that Crafters Choice has such competitive prices. Would highly recommend this Vitamin E and would purchase it again. COMMENTS: I prefer to use a many natural ingredients in my products as possible and was happy to find that WSP carries this item. COMMENTS: I use this in all my products and my customers absolutely love it. Definitely going to continue to reorder. I just can not keep it in stock. "Great As Far As I Can Tell "
COMMENTS: Seems okay. Price was good. COMMENTS: Works great to keep my body oil & butters fresh. COMMENTS: Vitamin E is a staple for me - I use it in almost everything. Not only is it great for skin, but it also extends the shelf-lives of my oils. WSP has the best price around, too. COMMENTS: This is such a wonderful additive to so many of my products and it is great for your skin. I always check my levels on this to make sure I have it on hand. COMMENTS: Great additive for my products and also a good way to keep my lotions fresh. COMMENTS: Works great as a preservative. COMMENTS: The vitamin E oil incorporates so easily into body butter recipes. COMMENTS: I used this product in a lotion that it has various types of oils and this vitamin helps as an antioxidant. And I love that it help to skin. • Shelf life. I would like more. "It's Improved from Before - Love It!" COMMENTS: I've recently ordered this in a kit and have to say, it's changed for the better from the last time. Vitamin E is very thick but yesterday I realized it is still thick but pours out of the bottle much easier which is a perk because it was thicker before and a dropper was difficult to use. Will be getting this soon in larger quantities! COMMENTS: Loved this as an additive to my face creams and body lotions. Has a great Amber color and wonderful thickness. COMMENTS: I love using this in my lip balms and body butters! I would change one thing. I like to pour mine from the bottle so a flip spout would be nice. COMMENTS: Though a bit on the pricey side used in the smallest amount it is worth it. This oil adds great benefits to all products I use it in. Is used in such a small amount I do not notice a color change or scent! I love this product. COMMENTS: I use it in my salves and body butters. It has great label appeal, and I believe it'll help with skin repair and scar healing. From the research I did, it seems people use it at about 0.5-1% total weight of oils, so that's what I've done so far. The consistency in the bottle is thick and sticky, but it hasn't caused any problem in my body butters or salves. COMMENTS: This is a must for healing type lotions. COMMENTS: Vitamin E Natural is a great addition to my products. COMMENTS: I love this product and will definitely purchase again but in larger quantity. Add a little to all my essential oil /carrier oil blends to add shelf life. Great for facial and skin care products as well. COMMENTS: This Vitamin E is so nice to work with when adding to my lip balms. I like the assurance that I am putting a good quality oil in my product. I use to buy from another company but love this much more. COMMENTS: I originally purchased this item for a recipe here on the WSP website. I was only able to afford the smallest bottle, but did have enough left over to try in a few other projects. I love using it in my products, I just wish the price was a little more affordable so I could incorporate it more fully into my line. COMMENTS: Very expensive, but works well. COMMENTS: I rec'd these in a kit and it turned out to be a great quality oil...believe I will order some more !!! COMMENTS: This is the only natural vit E I have found in the market with reasonable price. I used it in all my products to extend shelf life of oils. COMMENTS: This is a great product as a preservative. I just wish it was a little less expensive. 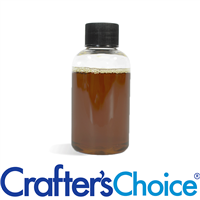 "Crafters Choice™ Vitamin E Natural T-50 "
COMMENTS: Loved it in my salt scrubs with grapeseed oil and shea butter (liquid refined). COMMENTS: I add a little vitamin E to everything I make. It's a good way to help postpone rancidity of the oils and it has benefits all its own. COMMENTS: I use this in my beard oil and love the consistency it adds to it. COMMENTS: Added the liquid Vitamin E as well as the Vitamin E beads as extra moisturizer in our hand sanitizer. "Thick Oil but not such a pleasant smell"
COMMENTS: I love adding a bit of vitamin E to my products but was thrown off my the smell of this product. While the smell wasn't overwhelming I would say it give off a slight rancid smell like an old oil smell. The scent did not linger or smell bad when I applied it to my skin. I did love the thickness of the oil and did not appear to be cut by other oils. I would consider this to be a fair product despite the smell. • rancid...like an old oil smell. COMMENTS: This makes a great additive in my products. It does have a funky smell to it all on its own, but I have found it very easy to cover up with the fragrance once it is added. I havent had any bad experiences with this and a fragrance not mixing which is a plus. COMMENTS: I add this to my scrubs to enhance their qualities. We all know how good Vit. E works on our skin. My costumer love my products with added Vit. E. Besides, Vit. E is an antioxidant that helps oils from going rancid. COMMENTS: I always use in my whipped butters and lip balms! Great quality product! "Great Product but like all Vitamin E its pricey"
COMMENTS: I love that this is a 50 percent blend to make it easier to apply without dilution and mixing. Tocopherol mixtures are a bit too expensive for me to justify using the T-90 blend and having to mix it with another carrier oil just does not seem like fun to me. Aside from the benefits to my customers' skin I also like that tocopherols act as a mild preservative. I like to think that this helps extend the shelf-life of my bars but I can't say for sure. COMMENTS: I really like the ease of using the liquid vitamin E. I had been using capsules and this is many times easier. • The ease of use. COMMENTS: This is a great product. I use it in all my body butters, lip products, and lotion bars. Wonderful for skin. COMMENTS: Looks good my friends and family. I dont know if it'll make a difference, but people want to see Vitamin E on the ingredients list. COMMENTS: I use this product in just about everything I make that contains oil! I think it really improves your products and their health benefits. COMMENTS: I'm so happy to find a reasonably priced "pure" vitamin e. I can't find this locally anywhere and although it is expensive, it's not as expensive as other online sellers, plus free shipping and I know I can trust the supplier. "Great product at a great price"
COMMENTS: Wholesale supply plus does it again. Great product at a great price. Perfect for lotions! COMMENTS: This is a must have for me. I put it in almost everything I make. Hope you never stop selling this. COMMENTS: I love to use this in my lip balms! COMMENTS: I just received this and it looks to be of very good quality. I'm so happy that I can purchase this here along with everything else I need to make my homemade products. COMMENTS: I use this in my lotion bars. I love adding vitamin E and all it's benefits in my products. COMMENTS: Very happy with the quality of this Vitamin E.
"Nice Preservative for Body Butters"
COMMENTS: This was used as an added preservative for our Whipped Shea Butter. Great product, and only a little at a time has to be used. "Can't get enough of this"
COMMENTS: I have fallen in love with this stuff that I have started using it as an additive to my soaps. COMMENTS: Once upon a time I would break open Vitamin E tablets - this is SO much easier! COMMENTS: A little goes a long way, I use this as a natural preserative for my body butters and for my whipped shea butter. It's amazing how little you have to use to get the desired result. COMMENTS: I love this in my sugar scrub. It blends in so nice. Wish i had bought more! I have put it in all my lotions and scrubs. "Wonderful for use in many products"
COMMENTS: I use this in many products for all the valuable benefits it gives. I found the price fair and the quality very good! COMMENTS: This is a great addition to my body products as it pulls double duty. It helps to keep my oils from going rancid too soon and is also just a great skin softener and nourisher. "A must have for me"
COMMENTS: A number of the recipes I use call for this Vitamin E. Customers like seeing this antioxidant in their products also. Good quality product. COMMENTS: When originally purchasing I wasn't very sure of the major difference between this and the T-90. So based on price I selected the Vitamin E and it worked great. Plus it's all natural. I would purchase again.